Having a sense of direction is important; more so when you’re not familiar with the area, or when it’s time critical that you leave. Point in the direction of ‘home’. Point in the direction of North. It became apparent on a recent holiday to Europe that some people struggle with this, but despite occasionally confusing left with right I’m able to get my bearings and navigate around fairly quickly and accurately. However, there will always be occasions when you need to find somewhere specific and therefore turn to a map for help. Increasingly this means tapping in a destination to a smartphone and following the directions, but there’s still the option of physical maps. I expect that there is a lot of literature out there (like this) regarding the cognitive skills required to interpret maps, but thankfully it’s something which comes easily to me without much thought. To find your way from A to B – this is probably the most obvious way that maps are useful, especially in an unfamiliar area. Providing you know, and can interpret, what you’re looking at I find maps an extremely useful tool – which is why I get frustrated when they aren’t available (which seemed to be the case in both New York and Berlin!). Having dropped out of Scouts a long time ago, I decided to take a look at their criteria. 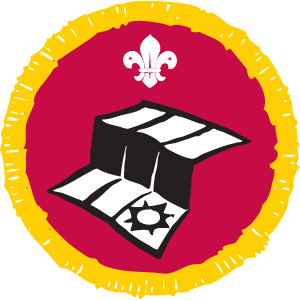 Would I still be able to obtain a Scouts badge for map reading? Understand how to use the key of an Ordnance Survey map Yes, although I always get the Church symbols mixed up! Know the first eight points of a compass and use them during an outdoor activity “Never Eat Shredded Wheat”, in fact, I think I could get all the way to 16 compass points…but asking me to use one would be my downfall. Ok , based on that I’m awarding myself the badge (I haven’t decided where to sew it yet!). But to go back to an earlier point – with increased reliance on smartphones – are we increasingly vulnerable? With some smartphone mapping systems not being as accurate as you’d expect, and the ever possible risk that your phone will run out of battery, it’s vital that we don’t become too reliant on them. Here’s my thoughts on being resilient in the absence of a map. If you’ve got any additional thoughts or experiences, drop them in the comments box below. Going back to the Scouts, given their motto is “Be Prepared”, perhaps there are other scouting skills which could have a resilience application. I’ll have a look at what other badges I could award myself soon!